The National Organization for Marriage (NOM) has joined with the International Organization for the Family (IOF) and CitizenGO, a community of active citizens who promote life, family and liberty, to sponsor a #FreeSpeechBus tour promoting the truth of gender. Starting March 22nd, the NOM/IOF #FreeSpeechBus is making appearances at the United Nations, Trump Tower, Yale University and other locations with the message that gender is determined by biology rather than by emotions and feelings, and to call on all Americans to respect the free speech rights of citizens to debate these issues without fear of being demeaned, harassed, or threatened with retaliation. 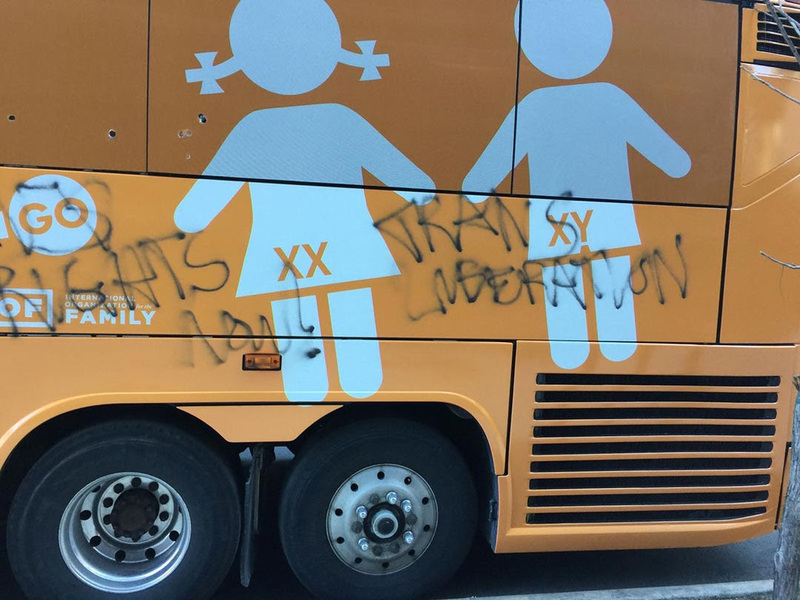 Our #FreeSpeechBus was just vandalized in New York City. This is a hate crime, and sadly the way that those who pretend to preach “tolerance” feel about opposing viewpoints. But we will not let this stop us. Together we will stand up to the bullies and show them that the truth won’t be silenced and that our free speech will not be abridged by criminal acts of hate. 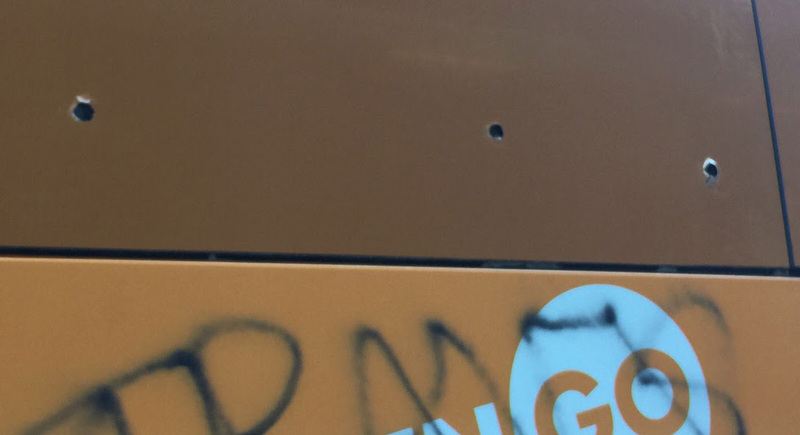 EDITORS NOTE: Readers may donate to NOM to help repair the damage done to the #FreeSpeechBus by clicking on this link: www.nationformarriage.org/donate. Islamic supremacist groups such as the Hamas-linked Council on American-Islamic Relations (CAIR) want and need hate crimes against Muslims, because they’re the currency they use to buy power and influence in our victimhood-oriented society, and to deflect attention away from jihad terror and onto Muslims as putative victims. 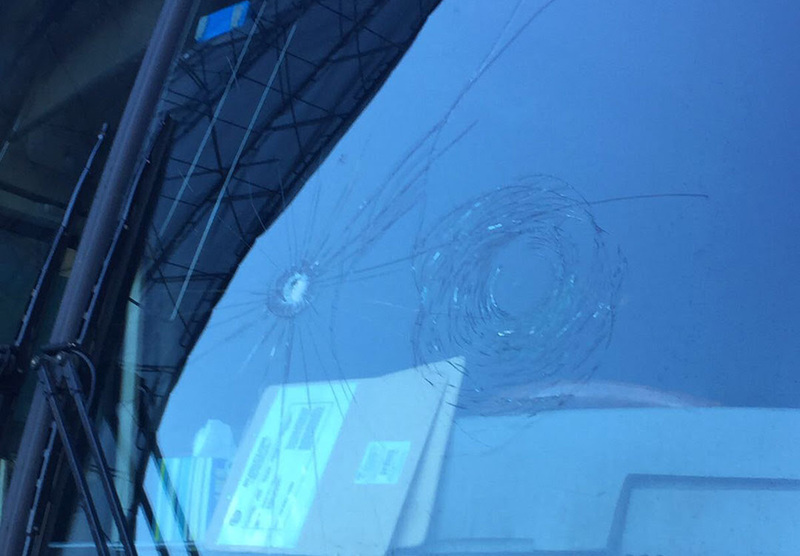 The day after Thanksgiving, in the wake of a terrible shooting that left a Muslim cabdriver in Pittsburgh hospitalized, CAIR was screaming ANTI-MUSLIM HATE CRIME! Naturally, left-wing news outlets like the Washington Post and others gleefully accepted those marching orders. Five days later police had a suspect in the shooting. He’s pictured above. His name is Anthony Mohamed. Investigators have taken a suspect into custody in the shooting of a cab driver who is Muslim in the city’s Hazelwood neighborhood in the early morning hours of Thanksgiving Day. Pittsburgh Police announced the arrest at a press conference Wednesday afternoon. They identify the suspect as 26-year-old Anthony Mohamed of Hazelwood. A Muslim civil rights group is asking the Justice Department to investigate the shooting of a Pittsburgh taxi driver. The driver was shot Thanksgiving night in the Hazelwood section of Pittsburgh, and the Council on American-Islamic Relations (CAIR) wants the Justice Department to investigate the case as a hate crime. According to reports, the 38-year-old driver picked up the man outside the Rivers Casino about 1 a.m. Thursday. F.B.I. statistics prove that Jews are more than three times as likely as Muslims to be victims of religion-motivated hate crimes. Overall, those among the Faithful who are not Muslim are targeted for hate crimes almost 84% of the time, compared to 16% for Muslims. In a country of around 325 million, there were 183 hate crimes aimed at Muslims last year. Nearly a thousand were aimed at other religious groups….